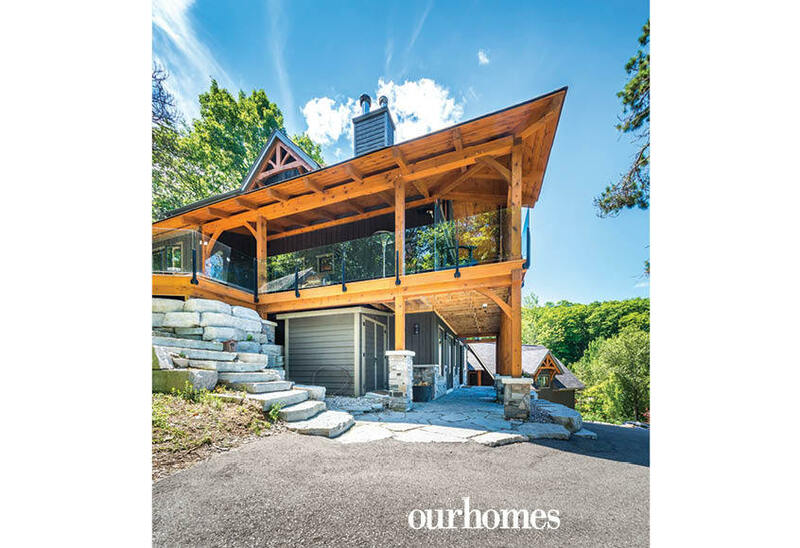 A glorious timber-frame home gets a bird’s-eye view of the ski slopes north of Toronto. 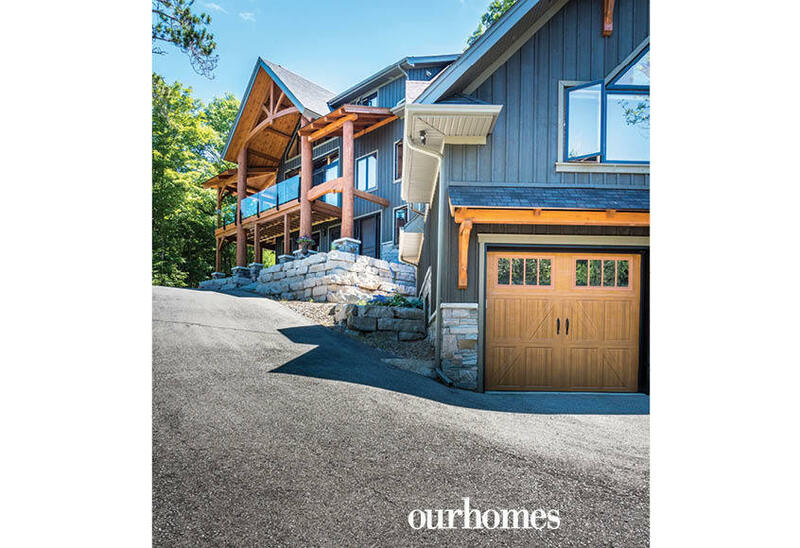 A version of this article originally appeared in the Fall 2018 issue of OUR HOMES Barrie Orillia Midland Innisfil, p.54. Find local businesses in our Barrie directory. 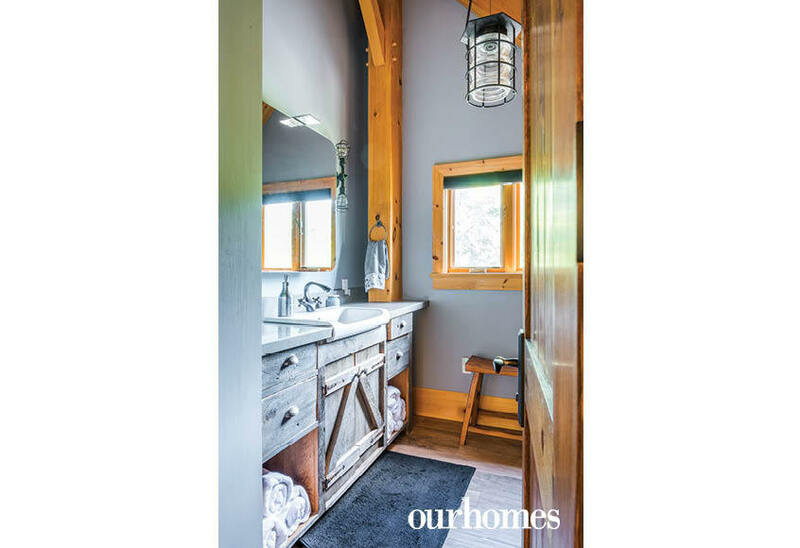 On family ski trips to Canada’s west coast, Marianne and Peter Valjas were so captivated by the natural beauty and sweeping vistas of the mountains that they were inspired to transform their Horseshoe Valley cottage. 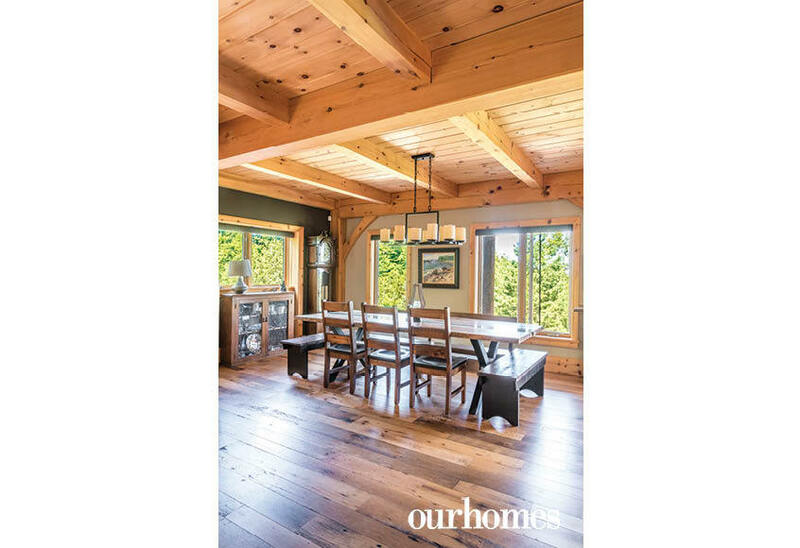 Their rustic hilltop home has become a timber-frame chalet they will enjoy in their retirement. 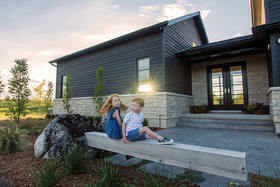 “We’d dreamed of having a Whistler look in Ontario and one day owning a timber frame home,” recalled Marianne, who also wanted a maintenance-free environment, leaving time to enjoy the four-season activities beyond their doorstep. 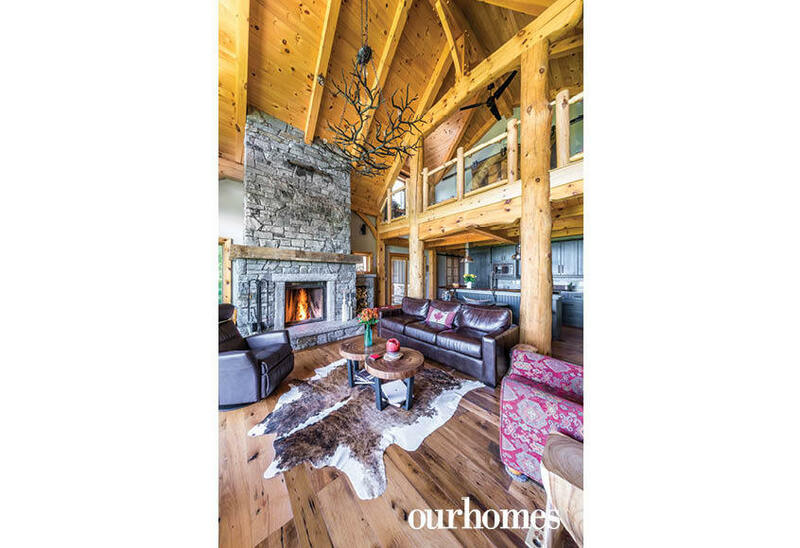 They turned to skiing community friend Terry Michelsson of Moonstone Timber Frame to work from plans drawn by Minesing’s Denise Adams-Lawrence of West Eden Design Studio. They didn’t have to worry about many window coverings either, but Hunter Douglas blinds from Blair Interiors were added where necessary. In the kitchen, appliances are tucked seamlessly behind custom cabinets in a kitchen made of alder wood. A custom stain complements the Benjamin Moore wall paint in Pashmina. 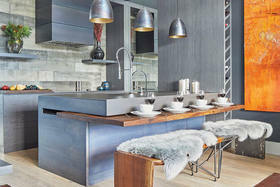 To continue maximizing luxurious finishes while minimizing upkeep, quartz was chosen for the main counters, while a live-edge slab adorns the breakfast bartop. 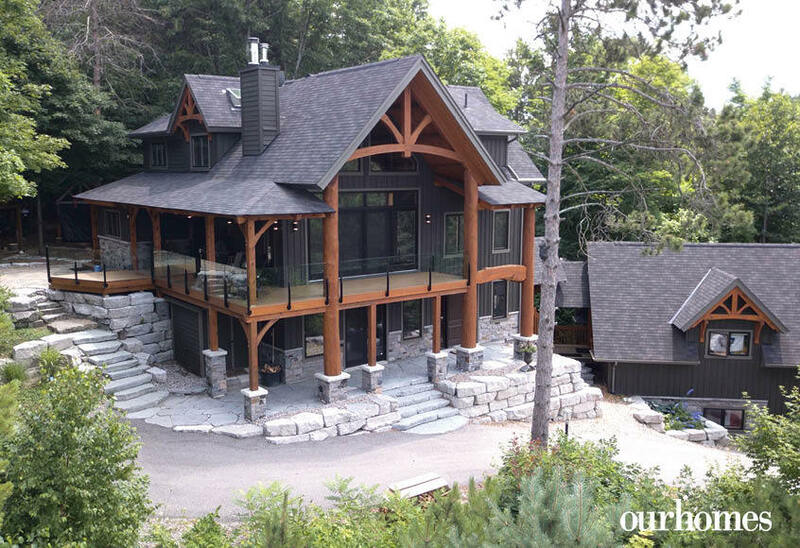 Muskoka granite was used by JMC Stoneworks Ltd. to create the fireplace hearths and surrounds. 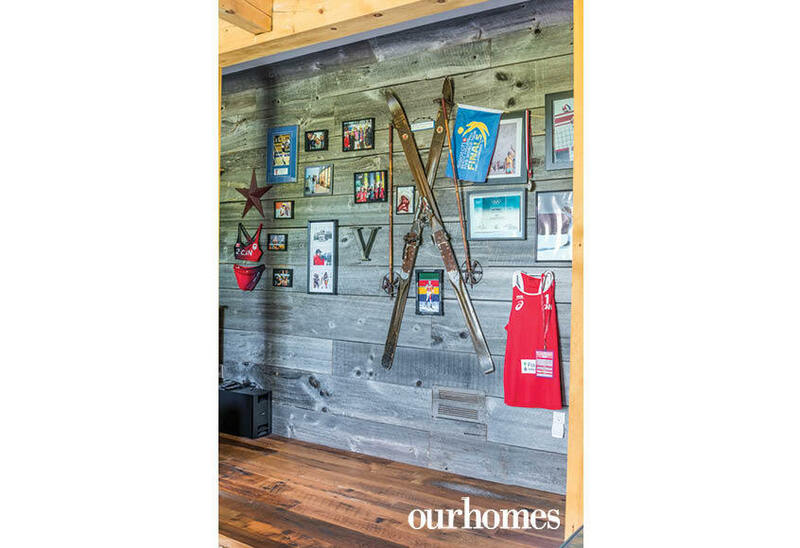 The main floor showpiece is a faux dry-stack construction with built-in lighting, a reclaimed wood mantel and a side cubby to store and stack logs. The large guillotine Rumford unit from the Fireplace Shop ensures the warm air generated stays inside. 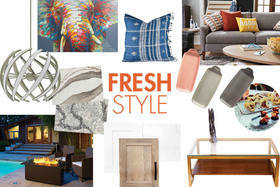 A favourite leather chair is from Aboda Decor. A Sonos sound system from Simcoe Audio Video is available at the touch of a cell phone button. 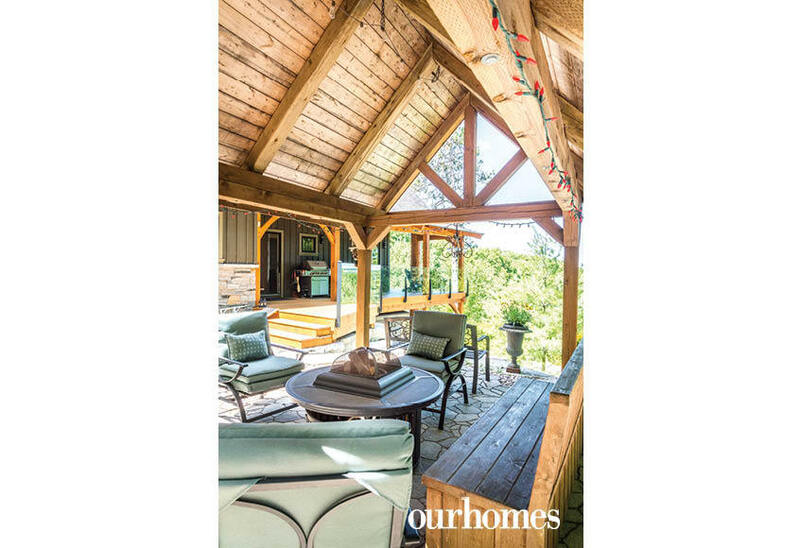 An arial photo of this Horseshoe Valley chalet reveals its timber details. Carved into the hillside, the home has incredible views of the surrounding valley. The engineering, design and build of this beauty was no easy feat. The steep incline from the street posed a huge challenge but the construction team handled every task. 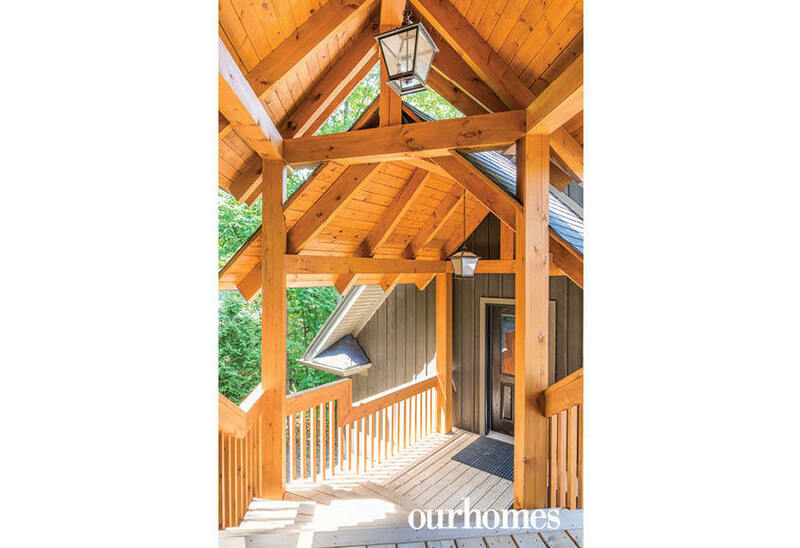 The home was built with plenty of covered outdoor spaces to enjoy, including the breathtaking views from the wrap-around deck on the second level. 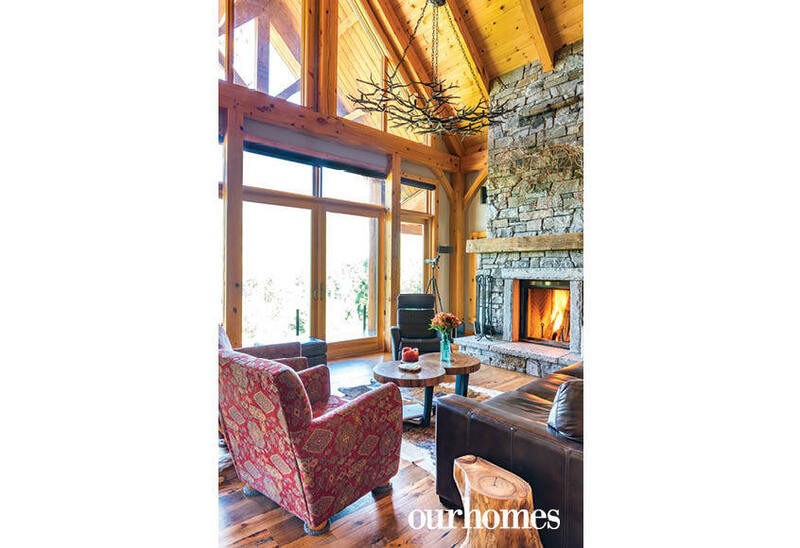 A roaring fire in the living room’s guillotine Rumford fireplace provides comfort and warmth in this grand timber frame chalet in Horseshoe Valley. 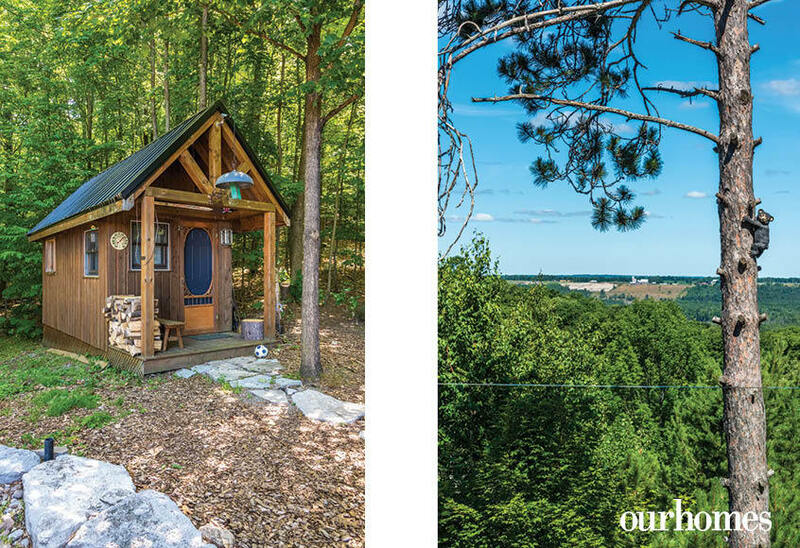 Timbers soar beyond the loft, where the master suite is located. 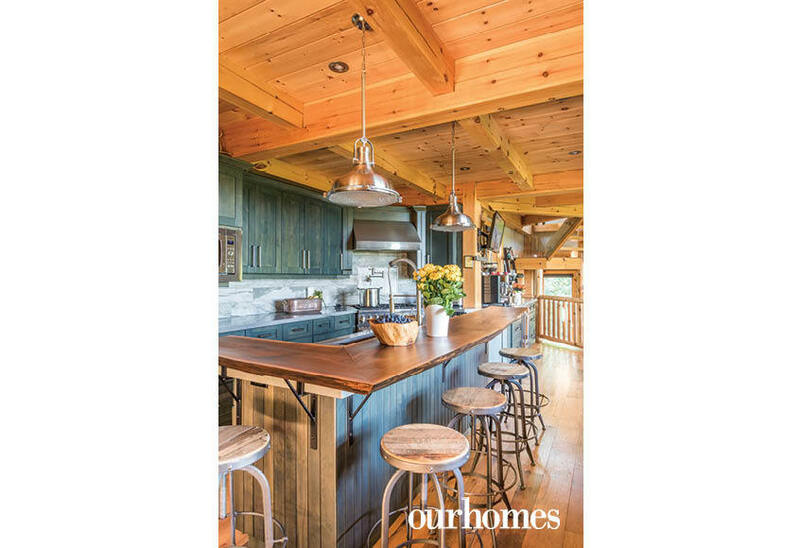 The stunning shaker-style kitchen cabinetry was handcrafted from alder wood and custom stained. 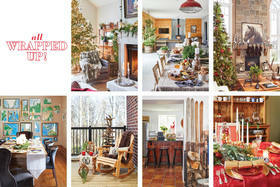 The floors throughout are reclaimed hemlock. 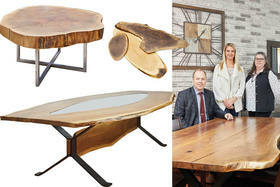 The dining table was custom crafted from water-recovered wood. 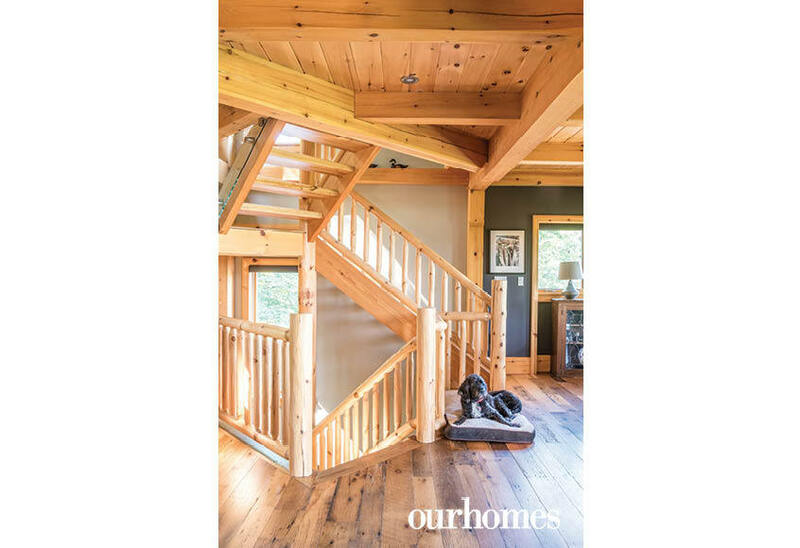 The pine staircase leads from the lower level all the way to the master suite on the third floor. Murphy loves to relax near the stairs. 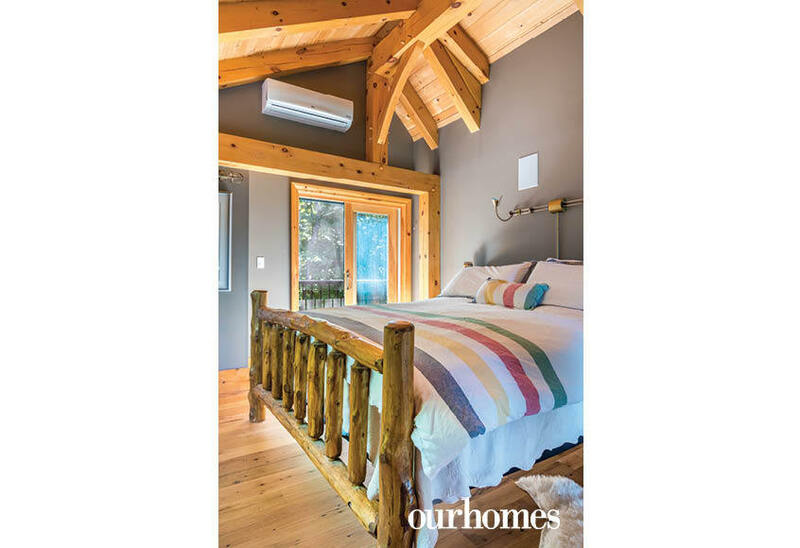 A timber bed is dressed in traditional bedding from the Hudson’s Bay Company. The master suite is upstairs in the loft. 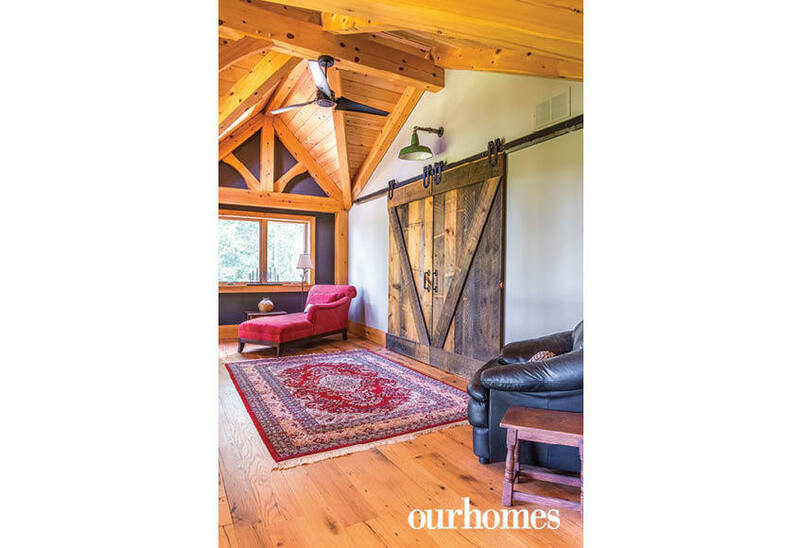 Barn doors with horseshoe-shaped hardware and V-shaped support battens were consciously included in the door’s construction to give a nod to the house location and owners. This wall on the lower level displays souvenirs, memories and achievements by the family. This breezeway leads from the home to the garage and the gear/games/gym up top. 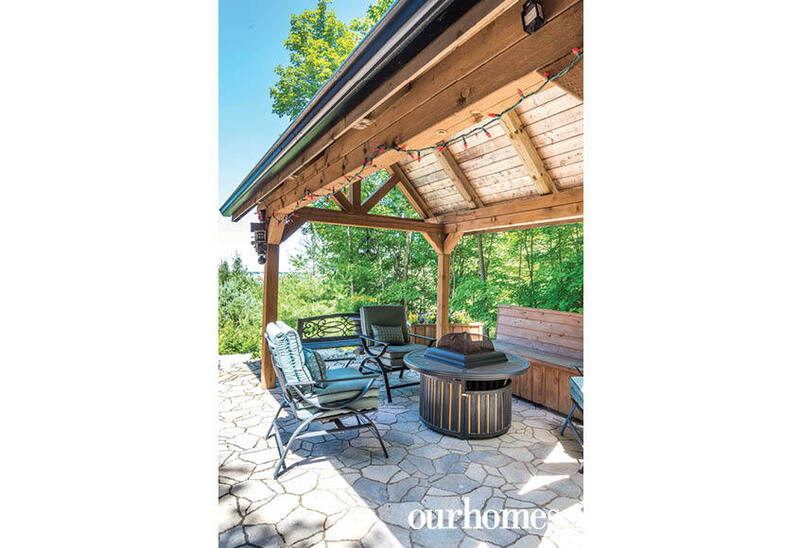 A covered porch and custom pergola provide shelter and another relaxing outdoor space for the family in all seasons. A propane fire pit warms up cool nights. 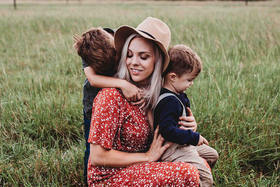 A traditional sauna was a must for the family and is well-used.